Top 5 podcasts to get you through your work week. Looking for something to listen to on the way to work? Or maybe your work colleague is listening to far too much Michael Buble for your liking? Then here are our top 5 podcasts that are guaranteed to get you through your work week. 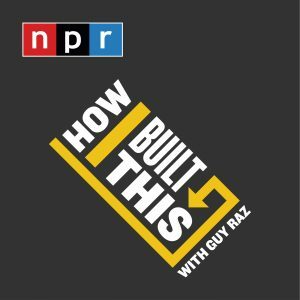 1.How I Built This with Guy Raz – who doesn’t love a great success story? Learning the challenges that these inventors went through to get their product out there is very inspirational. 2. 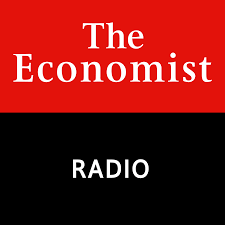 The Economist – this world is a crazy place and what better way to keep abreast with the world’s events, technology trends, interviews with influential people, politics and topical debates. With leading journalists across UK, USA and Europe this is a very interesting podcast and a great fix on international affairs. 3. Business Wars – This is an interesting one with major corporations once in an opportunistic situation to their demise. Little businesses you may have heard Netflix v Blockbuster, Nintendo v Sony, Coke v Pepsi. 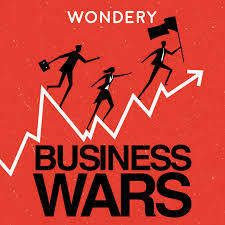 An interesting listen to how business decisions have sometimes shaped an industry. 4. 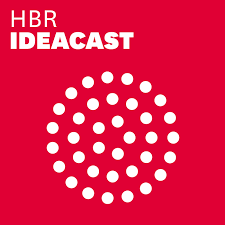 HBR IdeaCast – HBR you may have guessed this is Harvard Business Review podcast. There is a range of topics covered from asking better questions in business to leadership challenges to advice for start-up businesses. There is something for everyone. 5. 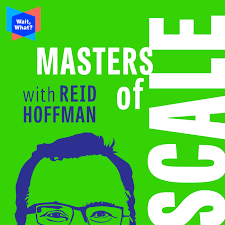 Masters of Scale with Reid Hoffman – Reid Hoffman is a Silicon Valley entrepreneur and founded a little business called LinkedIn. Reid’s podcasts are full of business tips and conversations with the likes of Facebook’s Zuckerberg, Netflix’s Hastings and Google’s Schmidt as to how they got to where they are and poses some interesting questions.